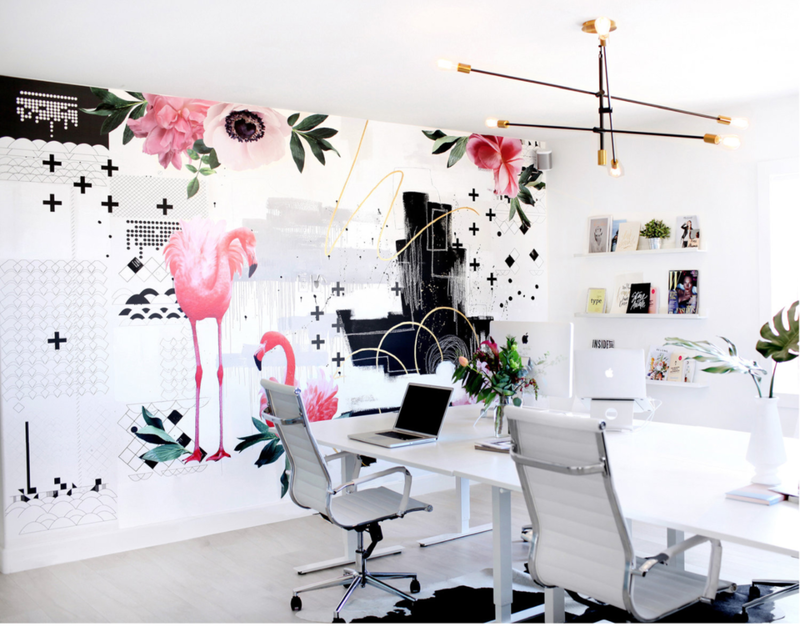 We were delighted to see how Promise Tangeman, based in LA used our Monochrome wallpaper to create a super cool feature wall for her office space. The soft florals and quirky flamingo details provide a contrast against the harsh geometric lines on the monochrome wallpaper. The monochrome wallpaper is available to purchase as a 10m roll through our online store. Want to know how to create this look? Promise Tangeman explains a step to step guide below.